“Girls und Panzer” is a wonderful secular story that doesn’t just explore biblical themes, but connects them. Sometimes Japanese media can have some strange ideas for premises. Sometimes these ideas are delightfully ridiculous and intended to be taken as such. Other times the ridiculous premises are actually intended to be taken seriously. Whether or not this works on the how well the production team can pull this off. 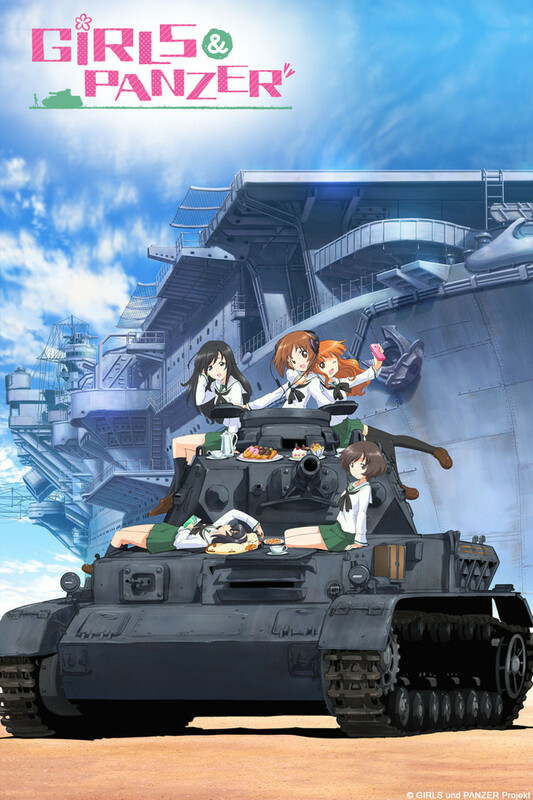 One such instance of a ridiculous premise actually working is that of the anime “Girls und Panzer,” which was produced by Studio Actis and aired between October 2012 and March 2013. The title is essentially gratuitous German and English. Anyone who pays enough attention to Japanese media will notice an interest in America and Germany and the languages, cultures, so on of those two countries. Its literal translation is “Girls and Tanks.” This story explores a sport/martial art for women called “Senshado,” meaning “the way of the tank,” or “tankery” for short. That’s right. This premise is that after World War II, tanks became used in sports by females from school ages and older. Players use tanks to shoot at each other in battles, participating in a proper sports league with tournaments, rules, and safety regulations. As I said, ridiculous premise. But the awesomeness of the battles, the actual real life tanks with some real-world dynamics (with creative license for the needs of the show), and the story’s personal dimension really sells it. And the last is where we get into the plot. The story centers around Nishizumi Miho and her friends. Miho, a shy new student at Oorai Girls’ High School, makes two new friends, which thrills her. Then she learns the student council wishes to re-institute the school’s tankery program after many years. Miho’s world is shattered, because she enrolled in Oorai precisely because the academy had no Senshado program. You see, Miho has had a serious disagreement with her mother for all of her life about the ethics of how her family plays the sport. This let to an incident the previous year, when Miho chose to help some students in actual danger and caused her school to lose the championship. Many people blamed Miho for doing what was right. So she turned away in disgust and hurt from the sport. Now the student council are trying to restart Senshado and force her to be a part of it! Eventually, Miho, who is a brilliant but unorthodox tactician, relents. She and her new friends join the team and she is made commander. She doesn’t regret it. With her four newfound friends, and even more on the larger tankery team at Oorai and at other schools, Miho finds she is having fun and enjoying Senshado for probably the first time in her life. Then the truth emerges about why the student council is so heavy-handed about this whole situation. We begin to wonder: can Miho continue to enjoy tankery with her friends while so much is at stake? Could she even sacrifice her ethics for the greater good, or stick to her guns–pun intended–and do the right thing? Many fans and I loved these challenges in “Girls und Panzer.” Yes, the battles and Miho’s awesomeness personified were truly epic to behold. Miho is like a teenage female Indiana Jones and Captain Kirk rolled into one. But the heartwarming elements take the center stage in this story. Miho is awesome even more than the above precisely because of who she is at heart, not in spite of it. While others in-universe might laugh at her idealistic and kindhearted ways, her team doesn’t. They love her for it. So eventually do the other teams, who are impressed with her sincerity. I can’t say much about the loads of characters in a brief review, but they are all heartwarming, especially her core team and best friends of Saori, Hana, Yukari and Mako. It is these folks, especially these four, who encourage a struggling Miho to stand by her idealism and do what is right. I am not many Christians today take seriously our duty to do what is right. Perhaps we also do not appreciate the wonderful gift of friendship that God has given us in His love and kindness. Instead we compartmentalize “important” things from doing what is right or making time for companionship. By contrast, the Bible extols friendship, from the words of Our Lord Himself in John 15 to the wisdom of Solomon in Proverbs 17:17, 27:17; and Ecclesiastes 4:9-12. Friendship is a precious gift from God, and we ought to not sacrifice it or view it as unimportant. But perhaps Miho’s story — and how she does what is right and apart from her other concerns — most reminds me of James 4:17.1 reflect this verse. She knows the right thing to do and she does it. She can’t do anything else, because that would be wrong. Both this and the theme of friendship connect when her friends encourage her to do the right thing. “Girls und Panzer” is one of those wonderful secular stories that doesn’t just explore biblical themes but connects them. All of this on top of adorable characters, sweet slife-of-life interactions, heartwarming moments, and an action-packed story. What more could you ask for? I’ve heard about this series, but haven’t seen any of it.Your review makes me think it may be a good one to try. Thanks. I think the key thing as to why Girls Und Panzer succeeds despite it’s ridiculous premise is that at it’s core it is a classic sports tale. It has all the classic tropes: The burnt out veteran, who is dragged back into the sport and learns to love it again through the simple and sincere love of the game held by the rookie team she then has to mentor and lead to victory. Add to this the cool factor of WWII tanks, and the hilarity of the various good-spirited national stereotypes appearing as the opponents. (The British team girls are all named after different types of tea, and drink tea in their tanks during the match, very prim and proper. The Americans are happy go lucky, have a sniper, and like to hand out hugs.) It’s just a rollicking good time.